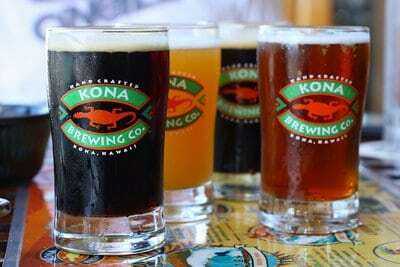 The Kona Brewing Company is a small, independent traditional brewery in Kona. They produce beers with names like “Big Wave Golden Ale”, Longboard Island Lager”, “Fire Rock Pale Ale” and “Pipeline Porter”. They organize not-so-memorable brewery tours, but also host a Brewpub with excellent food and their own beers. A perfect place for a local night out.